Anyway, after finding out I’d been training Zhan Zhuang, Henry decided to test my frame by giving me several sharp Fa Li/Fa Jin pushes to “see how well you bounce.” In other words how integrated and connected I was. Fortunately I was able to withstand his hits without my frame falling apart, so he agreed to teach me. Throughout his visit Henry Look showed me a number ways to improve my training. But among them, one method stands out. And that was an adjustment of the arms in the ‘emperor’ of all Zhan Zhuang postures - Cheng Bao Zhuang. (Holding the Ball or Embracing the Tree posture) Whereas most teachers place their students in the standard position with the elbow tips out to the side, somewhat below the level of the shoulders and lower than the level of the wrists, Henry suggested a bit different approach. Rather than the traditional way, he had me lower and adjust my elbow tips to 45 degree angles (in relation the ground.) The traditional angles generally range from just below 90 degrees (parallel to the ground) to around 60 or 70 degrees. The effect of this modification was remarkable. Immediately I felt a sinking of the muscles in my neck and throat, tops of shoulders, shoulder blades and chest, and the muscles of my upper arms. (Deltoids, Biceps, Triceps etc.) In short, my entire shoulder girdle seemed to relax and settle into place. In his wisdom Henry realized through observation and the briefest of physical contact, that certain elements in my shoulder girdle were not fully open. And now many years later, I can say with confidence that his method really worked. 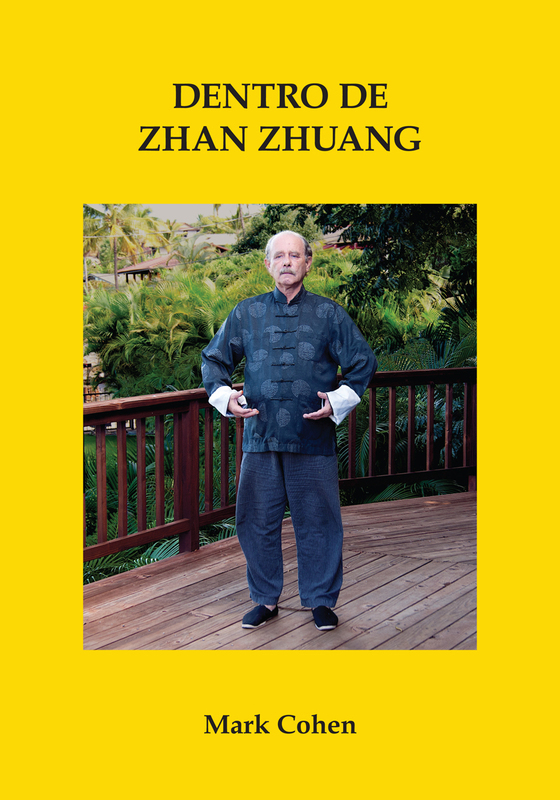 The idea of placing the tips of the elbows at 45 degrees or even facing the ground (as in Wu style Tai Chi) is not new to standing meditation, in fact the Taoists have been using these and other postural variations for hundreds of years to great effect. As you lowered your elbows down to the 45 degree position you will have immediately noticed a genuine relaxation and a downward sinking of the muscles of the neck, shoulder girdle and upper arms. This feeling will then want to percolate down through the chest and back to the Dan Tien/Ming Men region and ideally, all the way down to the bottoms of the feet. After enough sessions in the 45 degree posture, something wonderful inevitably happens. When enough of the shoulder girdle muscle structures loosen and stretch, the elbow tips begin, of themselves, to ‘float’ back up in the direction of the standard position. 50 degrees, 55, 60, 65 etc. This is simultaneously accompanied and indeed motivated by a greater sense of space and ease throughout the region. When the body has reached near its maximum stretch, the elbow tips will simply want to stop rising. There is one important difference about this type of opening when compared to just assuming the standard posture by rote. And that is, with the 45 degree method, the stretch has come from the spine and centerline of the chest, meaning all the deep muscles of the upper back, chest and shoulders have opened (at least to some extent) and are initiating the change. In my experience, what actually happens is that we have created a ‘sense of space’ throughout the region and the tissues seem to want to adjust accordingly. The traditional way of assuming a fully opened posture whether you’re ready for it or not, in other words mimicking the teacher, certainly has a proven track record. But a big part of that process is PAIN, sometimes severe and not for a day or two, but for months or even years. The reason for this is simple. Certain muscles within the body’s structure are much tighter than others, either through injury, overuse or not being used enough. The same is true with the amount of knee bend. 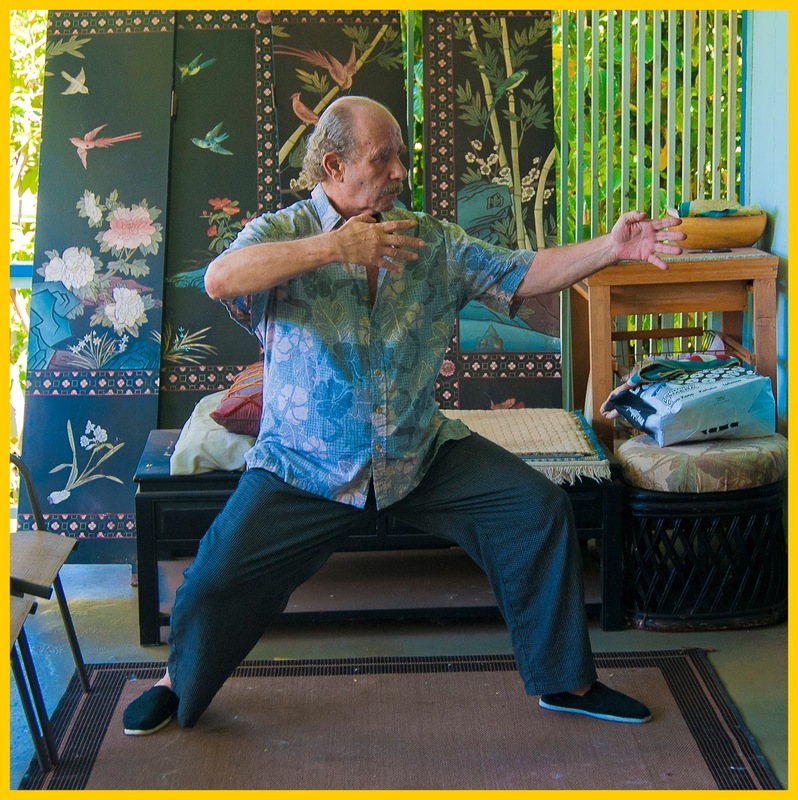 Deep sitting, which is the usual method for martial arts training, may be fine when you’re younger or have no injuries. But for those who are middle age or older, or who have sustained lower-body injury, bending the knees too much can easily cause permanent damage. Of course there are those who naturally have more of a ‘spartan’ temperament and will welcome maintaining the posture and fighting through the pain. The good news for them is that after much training, EVENTUALLY the pains will lessen and disappear. 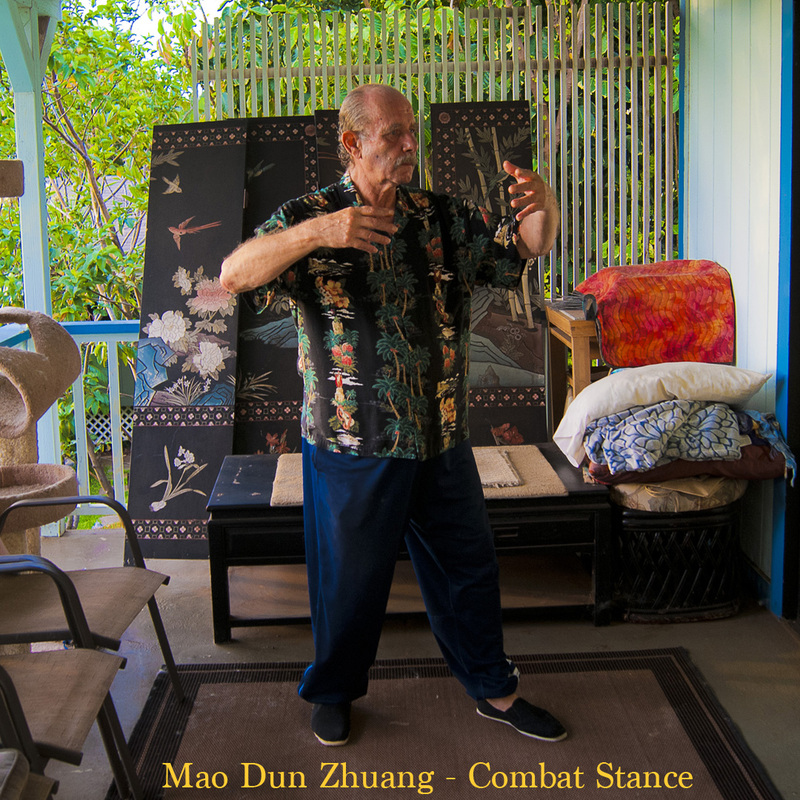 Don’t get me wrong, everyone who practices Zhan Zhuang will have to endure a certain amount of discomfort during their training, as the body tries to relax, release and open up. The difference is, by making some important minor adjustments, we are able to speed up the overall process while experiencing less pain and discomfort and quicker positive results. Try it and see for yourself. Now let’s examine the fourth Core Skill - Twist and Release. Twist and release is essentially an acronym for Spiral energy. 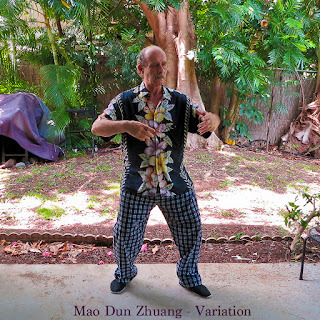 It has been said that without Spiral energy there is no real Tai Chi. So what is Spiral energy? To understand this we will first look at the spiral as a geometric shape, a shape composed of two of the most basic elemental forms - a straight line and a circle. We will consider the straight line as Yang, masculine, and the circle as Yin, feminine. The flowing combination of these two forms is not only nature’s preferred way of growth and movement, but also a perfect and continuous blend and exchange of Yin and Yang. That being said, it’s easy to see the importance of spiral movement and its expression throughout our Tai Chi form. 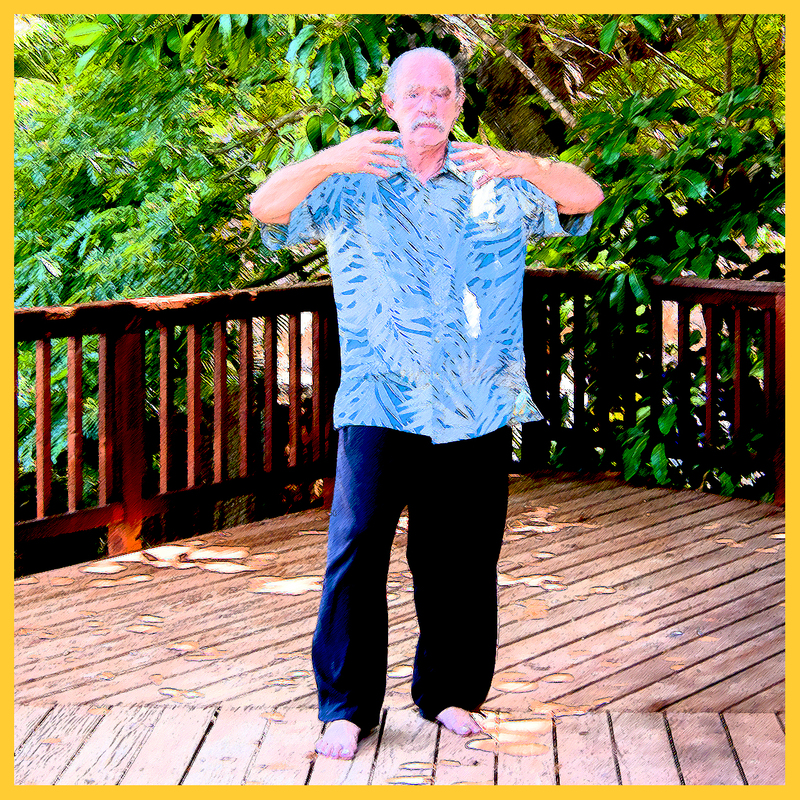 In terms of the most popular Tai Chi family styles, spiral energy has different degrees of outer visibility. The Chen family’s spiral energy or Chan Ssu Jin is the most visible or apparent, followed by the Yang family’s spiral energy which is generally much less visible and lastly we have the Wu family style (Northern Wu) whose spiral energy is almost entirely internal with little or no outer visibility. But make no mistake, a master of any of these styles will always move with a full compliment of Internal Spiral energy. 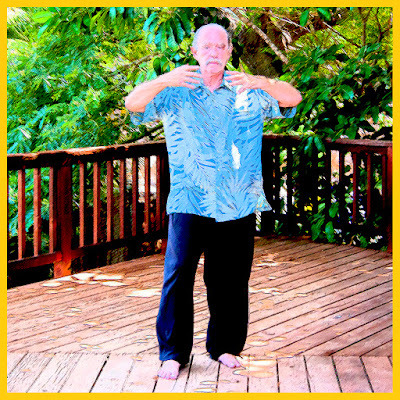 Spiral energy or Chan Ssu Jin has two forms which must be trained, the outer method which varies depending on style and the inner method, which is a Taoist Nei Gong process, common to all styles. In addition to the external and internal methods, Spiral energy also has two modes; Incoming (Nei Chan Ssu Jin) and Outgoing (Wei Chan Ssu Jin.) Physically, Incoming Spirals have a sense of compression (as in the third Core Skill - Compress-Expand) and Closing - as in the second Core Skill - Close-Open), whereas Outgoing spirals will naturally have a sense of Expanding and Opening. In terms of self-defense, incoming Spiral energy can be used to absorb, divert and trap or stick an opponent’s attack, causing the person to jerk toward you and/or stick to you without having to actually seize their wrist or forearm. Outgoing Spirals on the other hand are used to deliver penetrating strikes. When an opponent is hit with a Spiral energy strike it is similar to being struck with a rapidly rotating drill bit. 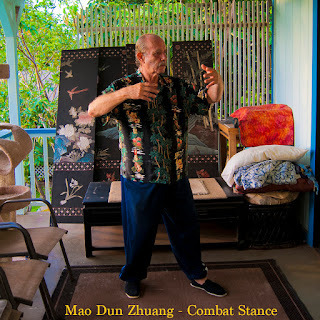 (Zuan Jin -Drilling Power) This can have the effect of making the opponent’s whole body wobble and or shake if the point of focus is more diffuse or generalized. However, if a Spiral blow is sharply focused at a Tieh Hsueh point, such as with a Penetration punch for example, the result can be devastating, causing a major disruption of Qi and blood to the brain or actual organ failure, depending upon the location. Once we have mastered the external aspect of spiraling which, by it’s very nature produces rather visible movements, it’s time to tackle the Nei Gong aspect. The Taoist Nei Gong method produces an enormous amplification of the Spiral energy by generating a great many more spiral turnings in each segment of the body than are possible with the external method alone. Although this is a purely internal technique which eventually allows our spiraling to move at the speed of the mind and feeling-awareness, in order to learn it, we will first apply a physical exercise to help internalize the correct feeling. So to sum up, internally generated spiral power is based on two factors - the number of spirals per body segment, and the speed at which they rotate - either inward as with the exercise described above or outward using the reverse formula. Please be aware that the method I’ve detailed covers only one part of the body. Of course this must eventually be expanded to include both legs and arms as well as the torso. Once you are comfortable with the basic Nei Gong process that is, using the mind and feeling-awareness from the fingers to the elbow (or from the elbow to the fingertips for outgoing spirals) use this ability to go from the extremities back into the torso, finishing in the low Dan Tien for Nei Chan Ssu Jin. Then go from the Dan Tien, starting with Dan Tien rotation, back out through the torso to the feet and hands for Wei Chan Ssu Jin.